Giunco Piccolo is an authentic expression of the perfumes and flavours of the Sulcis area of south-western Sardinia, and is obtained from 100% pure Vermentino grapes. Its lucid straw-yellow body conveys an exotic fruit fragrance to the nose, along with delicate traces of white peach. Elegant on the palate, with nebulous acidity and an aromatic aftertaste that confirms the nose's sensations. Alcohol: 13%-13.5% vol. An outstanding partner for fish soup, grilled sea bass and cheeses... especially creamy ones. The Mesa winery experience is a long dream finally turned into reality by Gavino Sanna, a top Italian advertising executive who has dedicated himself to expressing the flavours and fragrances of his native Sardinia through wine. 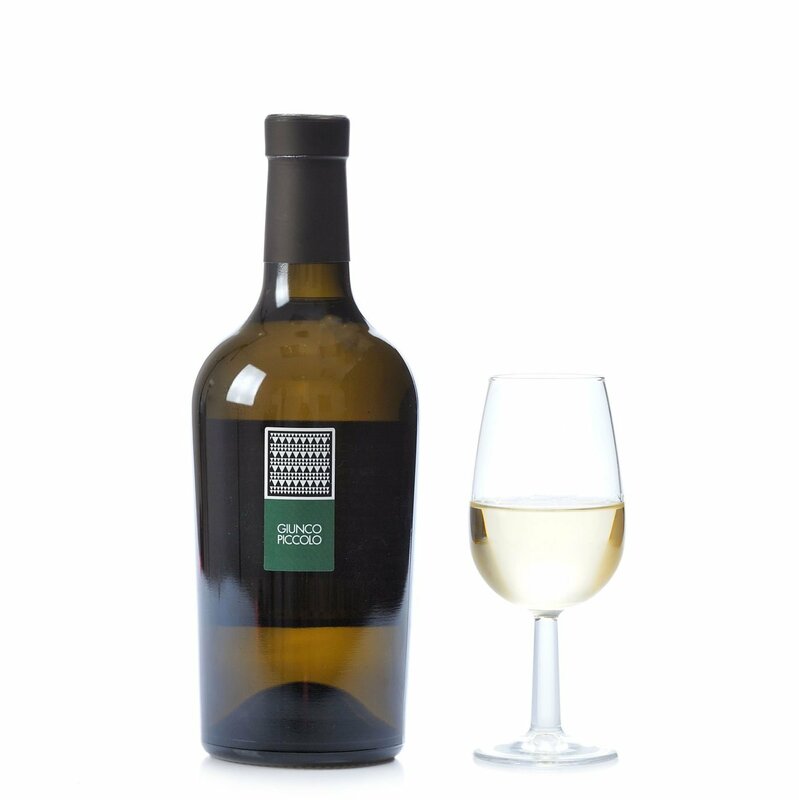 The name Mesa is significant: meaning "table" in both Sardinian and Spanish, it draws attention to the values of conviviality, sharing, family and pleasure which the company aims to embody. This project took concrete form with the building of the impressive winery in the Sulcis Iglesiente countryside, a large white minimalist structure surrounded by hills looking towards Porto Pino and by typical Mediterranean maquis. This building was designed with modern features and facilities conducive to treating grapes and wines with the necessary respect. The bottles too have been conceived as an elegant black dress, inspired by typical Sardinian costume and by the austerity of Sardinia's women, flag-bearers of the island's traditions. The bottle labels too are minimal, echoing motifs from traditional Sardinian wall-hangings, while the rear labels feature short poems. A total declaration of love for Sardinia and its fruits.